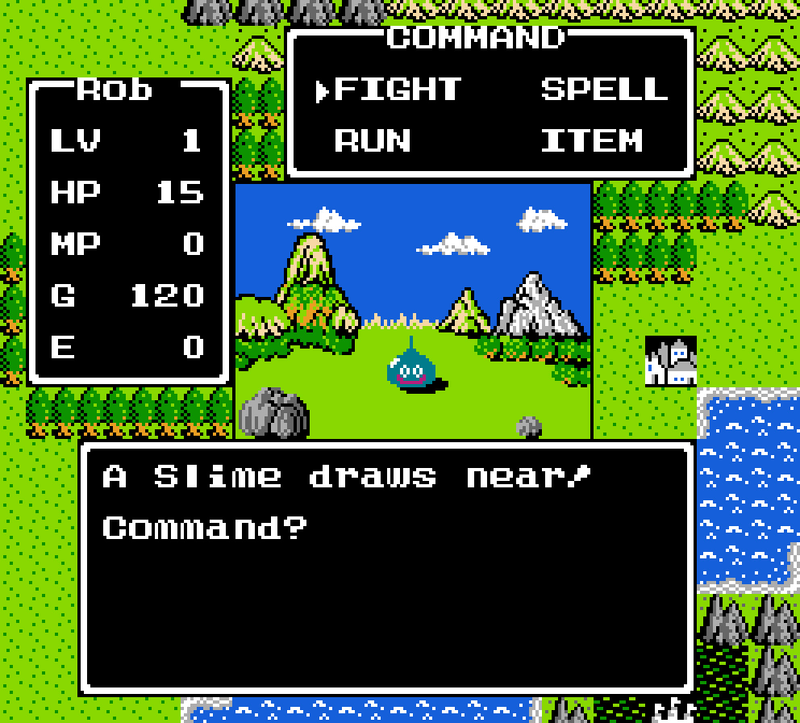 I spent hours and hours playing Dragon Warrior during Nintendo Entertainment System days. There was something about having to quest, battle, and discover on your own that inspired me to spend days thinking about a strategy that I’d execute on the weekend… school nights were a no go for gaming. It was also an exceptionally deep experience behind the 8bit graphics and midi sound. It was one of charts, strategy guides, and tears. RPG Quest Minimæ take on the old school role playing games, but – like its namesake – has been minimized in scale giving players a very straight forward quest. It’s an homage to Dragon Warrior in every way possible save the complexity. As a stripped down role playing game, Minimæ offers players the bare bones of the genre’s conventions. 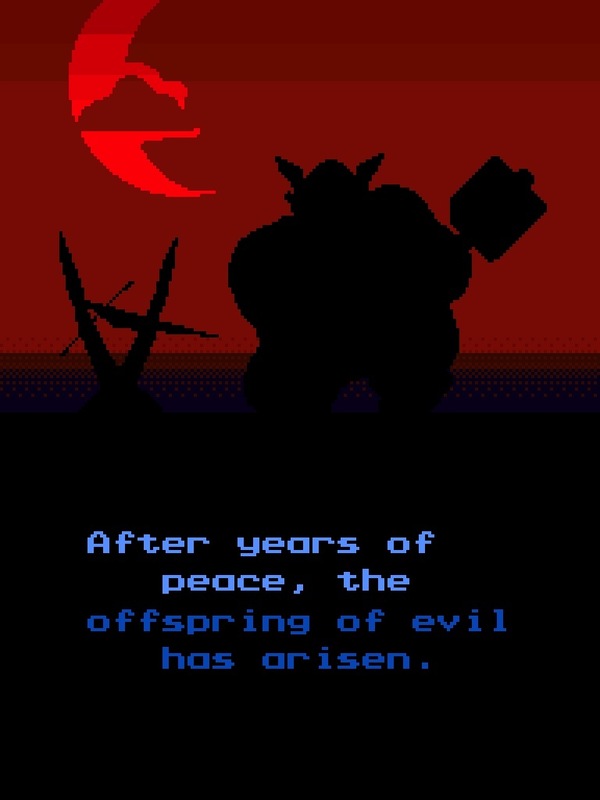 The story goes like this: evil has awakened and only with the power of the Eight Rings can the hero help save the world. The King tells you to explore the land, speak with its inhabitants, and find the rings. Using Seeing Orbs and a magic well can help guide the player, but it’s only through exploration will you be able to help your hero on his quest. I mentioned above, RPG Quest is exceptionally minimal. As you can see in the trailer (at the bottom of the article, check it out later) players attack and run from the enemies in the game. The game has little in the way of actual commands for the character, but that’s really the point. Without experience, items, armour, or weapons the game makes players survive on the edge of an empty inventory. As you progress, the player levels up using the rings, but so do enemies. Beautifully drawn the monsters in the game attack you in sequence until your health or theirs is depleted. Without anything like a health potion they can be pretty high stake battles. The giant game world makes the unprepared suffer for missing out on that last inn and without grinding to upgrade your sword you might as well use a butter knife on harder enemies. This is where the game runs into a bit of trouble. 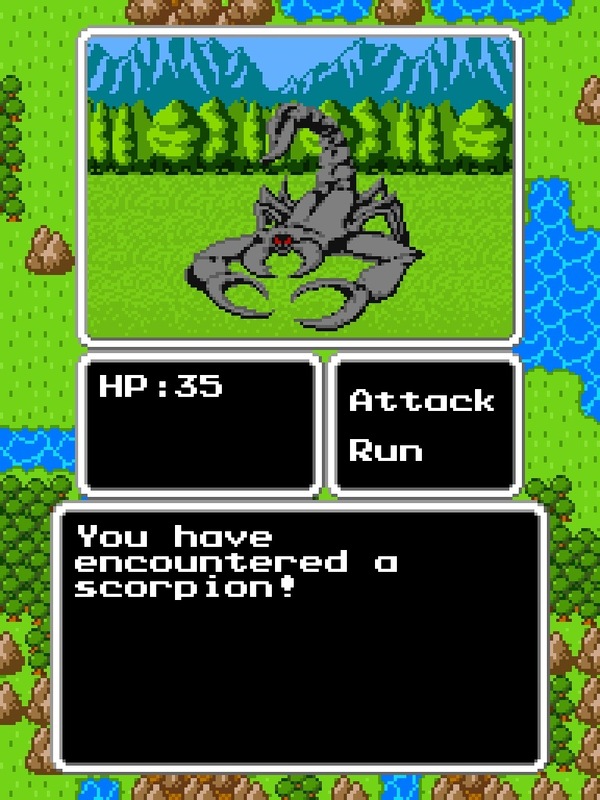 Dragon Warrior‘s (Dragon Quest for purists) depth made the RPG experience special. Having to worry about stats, experience, magic, health, and items was part of the genre as a whole and has continued to be, for the most part. Minimæ strips down everything into the bare necessities and suffers somewhat from the process. Items, weapons, and spells are truer to form, but unnecessary baggage in the eye of e game. While paired down and limited, I think the game’s lack of features highlight the complexity seen in the genre today. With tech trees, giant world maps, and expansive plots, 2013’s RPG can sometimes be a mess of complexity. This is a game broken into the barest parts and it’s a nostalgic romp into the purest 8bit-form of the role playing genre. I can’t say it encapsulates my childhood experience, but it’s a take on a much loved series. Another game worth looking into as a minimalist experience is Half Minute Hero. The game on the PSP has a great sense of humour and it is – as the name suggests – is a very brief experience. This entry was posted in Gaming and tagged mobile game review, RPG, RPG Quest Minimae, Video Game review. Bookmark the permalink.